HTTP Secure (HTTPS) is an extension of the Hypertext Transfer Protocol (HTTP) for secure communication over a computer network, and is widely used on the Internet. In HTTPS, the communication protocol is encrypted by Transport Layer Security (TLS), or formerly, its predecessor, Secure Sockets Layer (SSL). We take full responsibility for ensuring proper measures are in place to protect your information and we comply with applicable data protection legislation as detailed by the EU General Data Protection Regulation Information about you may be passed within the Blazing Sables Company for administration, marketing and analysis purposes and for student/customer surveys and market research. We collect information such as school, college, age, name, and address, date of birth, experience, allergies, some medical information, and references when an enquiry is generated. We may contact you by post, phone, fax, email or social media sites to let you know about any other products, courses, services or promotions that may be of interest to you. We will share basic information with the postal services should you buy from our site. This will only be your name and address. Like many other web sites, Blazing Sables makes use of log files. The information inside the log files includes internet protocol (IP) addresses, type of browser, internet service provider (ISP), date & time stamp, referring & exit pages, number of clicks (to analyze trends), administer the site, track user’s movements around our site and gather demographic information. IP addresses are not linked to any information that is personally identifiable. We will store a persistent cookie so that you may retrieve products in your shopping cart with no need to go through re-choosing all of your items again. However, the cookie will eventually expire if there is no activity in your cart for a number of days. This website’s cookies do not contain any personally identifiable information. Cookies are NOT spyware – Cookies are good and are there to help us make our website better by giving us information on how you use our site. If a user rejects the cookie, they may still use our site, but the user will experience limited functionality in some areas of our site. For example, the user will not be able to process an order through our shopping checkout area, etc. 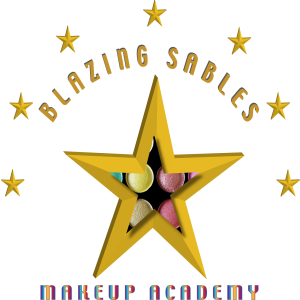 All pictures taken of you and your work by tutors at Blazing Sables will only be taken with your permission and will remain the property of Blazing Sables. We obtain the right to use them within our company for the benefit of new students and advertising/promotional purposes. Nobody’s individual pictures will be used on our website or social media for advertising, promotion, sharing, or for any other reason without first obtaining your written permission.